SCARBOROUGH, ME – After nearly 30 years representing buyers, sellers, and processors of Maine lobster, the Maine Import/Export Lobster Dealers’ Association (MIELDA), has seen some major changes recently. Newly renamed as the Maine Lobster Dealer’s Association (MLDA), the organization has done everything from restructuring membership, to hiring its first executive director, to refocusing its mission. Kerin Resch of Eastern Traders and MLDA’s vice president had been a member of MIELDA for six years and can recall the exact moment when he felt compelled to make some changes to the organization. “It was when LD 1709 came out,” he said. LD 1709, “An Act To Authorize a General Fund Bond Issue To Provide Funds To Develop Lobster Processing Capacity In The State,” appeared before the Maine Legislature in January 2014. The bill suggested bonding $10 million to dedicate to the development of lobster processing in Maine. Lobster businesses found out about the bill by chance; neither the bill’s sponsors nor members of the Marine Resources Committee reached out to industry for feedback. 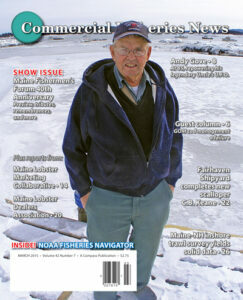 Read the rest of this story and much, much more in the March issue of Commercial Fisheries News. Buy this issue or Subscribe.